The Spanish Government has defended as ‘professional, technical and juridical’ the decision of its Attorney General for asking between 7 and 12 years in jail for pro-independence leaders involved in last year’s Catalan referendum. The Attorney General has requested lower prison charges than Spain’s general prosecution for pro-independence leaders, and is accusing them of sedition, instead of rebellion. Meanwhile, Spain’s Public Prosecutor is accusing the former government members, civil society leaders and the former Parliament speaker, of rebellion and demanding prison sentences of up to 25 years. Pablo Casado, the leader of the opposition People’s Party (PP), accused the Spanish government of putting at risk the country’s ‘dignity’ by not asking for rebellion charges. ‘It’s not acceptable for Pedro Sánchez to crush the criminal code, the separation of powers and the dignity of the Spanish democracy,’ he said. According to him, the Attorney General is making a ‘gesture’ towards pro-independence leaders, whose party’s votes are essential for the Socialist executive to stay in power. 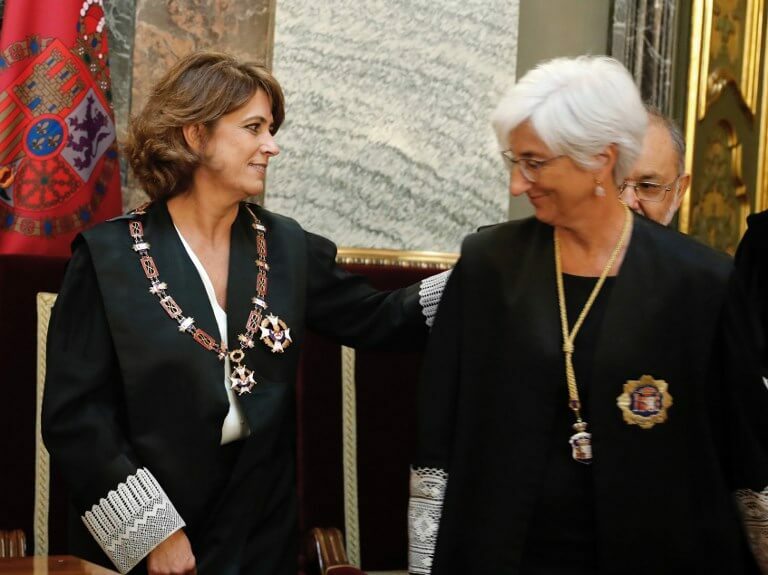 The Minister of Justice, Dolores Delgado, however, denied any ‘gestures’ were made for the pro-independence parties. The other opposition party in Spain, Ciudadanos (Cs), also accused the Spanish government of giving oxygen to the pro-independence leaders for not pressing rebellion charges. According to the party leader in Catalonia, Inés Arrimadas, the Spanish Prime Minister is willing to offer pro-independence leaders in prison ‘privileges’. ‘It cannot be allowed for those that carried out a coup against democracy to now benefit from an attempt by the Spanish government to lower their charges through the attorney general,’ she said. ‘He needs them to stay in the Spanish government,’ Arrimadas added. Despite the Spanish right-wing parties accusing Madrid of going soft on pro-independence leaders, Catalan groups denied any ‘gestures’ in the attorney general’s prison demands, stating that 7 or 12 years in jail for organising a referendum are still unacceptable, and the only solution must be absolution.